Helping You Crush It From Pre to Post production! Set Your Film Up To Win! 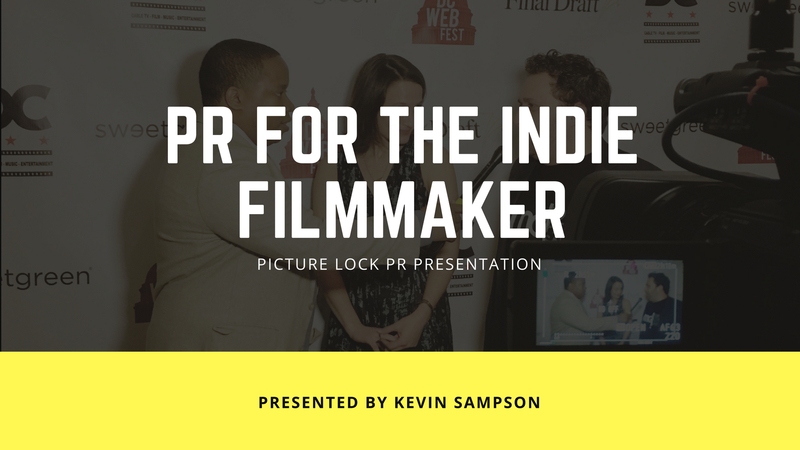 Go in depth as to how to set up your film's PR and marketing from pre-production to post with filmmaker, film critic, film festival director, and film publicist, Kevin Sampson! This course will help you traverse your indie film's journey with inside information from an industry pro. Invaluable information about getting your film out there! I've been working as a director and cinematographer since finishing college in 2005, and this is by far the most comprehensive and concise information about marketing a film I've seen. It's easy to follow, largely in layman's terms, and speaks to you on an equal but well educated level. In tandem with the 1-on-1 with Kevin, that it is catered to todays market and is relevant *now* is perhaps the strongest case I can make for it. I will be recommending this to friends and producers who are long-time filmmakers, as well as newcomers who are looking for guidance on their first projects. Thank you, Kevin! Rich in Content and Immensely Valuable! I really enjoyed the “PR For The Indie Filmmaker” course, taught by Kevin Sampson. It is very rich in content! I truly enjoyed it and learned a lot! As a film critic, film festival director, writer, producer, and director, Kevin is clearly a credible messenger. What’s better is that he delivers his knowledge in a very enthusiastic and affable way. He also makes use of great examples along the way. Upon completion of the course, I quickly began to act on many of the recommendations provided in the course and I’m confident other filmmakers will, too, find the lessons immensely valuable. I highly recommend it! If you're ready to ensure your film's successful in it's PR & Marketing, click below!